Students learn context clue strategies to problem-solve the meanings of unknown words. But wouldn’t it be more precise to use the dictionary? No. The dictionary is a fine tool and should be used to look up words that are critical to the comprehension of any reading. However, the dictionary is not a practical tool for reading at the 5% unknown words reading level. Often, the definition frequently does not fit the connotative meaning of the word as used in the reading passage. Additionally, there are often multiple definitions—which one fits? Context always determines meaning. Also, looking up one in every twenty words adversely affects comprehension. Time spent looking up words is reductive. The few minutes it takes to look up and internalize the definition could be better spent reading more text, because the more words read provides more exposure and practice—the keys to efficient vocabulary acquisition. So, learning and practicing context clue strategies makes sense. Context clue strategies can be internalized with sufficient practice and can be flexibly applied by skillful readers to figure out the meaning of many unknown words without adversely impacting comprehension. The best way to apply context clue strategies is to learn the problem-solving strategies detailed in FP’S BAG SALE. When readers come to an unknown word, they apply the relevant steps of the FP’S BAG SALE strategy to get a good clue about the meaning of an unknown word. Download this strategy and two accompanying worksheets with answers. Flexibility is key to using context clue strategies. Multiple strategies provide multiple ways of problem-solving. Good readers learn to quickly sort through the options and select the strategy or strategies that works best. They also accept the fact that context clue strategies don’t always work and that understanding every single word is not necessary for the purpose of reading—effective meaning-making. Initially, readers should follow the steps of the FP’S BAG SALE context clues approach in order to problem-solve the meanings of unknown words. Then, through teacher modeling and guided practice, students should learn to efficiently “hunt and peck” for clues to meaning by applying the individual steps. Antonym–Sometimes an unknown word is defined by the use of an antonym. Antonym clues will often use Signal Words such as however, not, but, in contrast Example: He signaled a looey, not a right turn. Select passages from the textbook or literature that contain unknown words. Demonstrate how to problem-solve the meaning of the unknown words by doing a “Think-Aloud” of the FP’S BAG SALE strategies. Select words that can be specifically determined by each step of the process. Also, select words that have no helpful context clues to show how the process is not fool-proof. 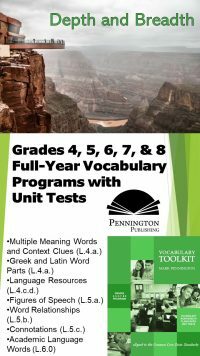 Select passages from the textbook or literature, scan into a word processor and delete every twentieth word, skipping articles, conjunctions, and prepositions. This is known as a CLOZE passage. Then have the reader use the FP’S BAG SALE strategies to guess the meaning of the deleted words. Compare reader answers with the original words and award points for correct answers. Of course, synonyms are fine and will promote rich denotative and connotative word discussions. Select unknown words that contain high frequency word parts as described in the next article titled “How We Learn Vocabulary from Word Parts Part IV.” Use sentences and three-sentence paragraphs that include these words as class openers. Good readers make use of structural analysis to problem-solve the meaning of unknown words. 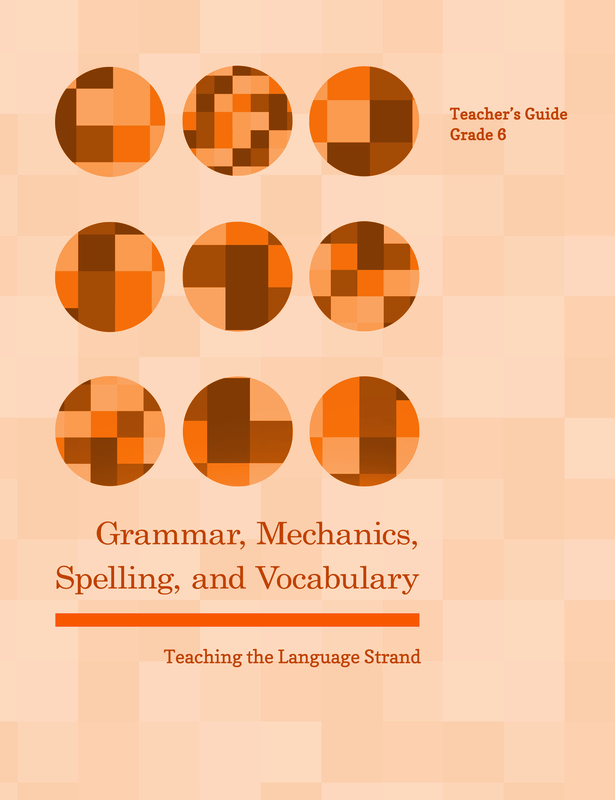 Although not technically context clues, word parts—both morphological (meaning-based) and grammatical (for example, parts of speech and inflections)—are essential components to vocabulary acquisition. Research has debunked the word list method of vocabulary instruction. The give-them-twenty-words-on-Monday-and-test-on-Friday approach is as American as apple pie, but is also highly inefficient. The English lexicon of over 800,000 words is just too vast to rely on rote memory of individual words. I suggested that the two most efficient methods of vocabulary instruction consist of 1. wide reading with refined context clues strategies and 2. word part memorization. This article will discuss how we learn vocabulary from reading. To understand how we learn vocabulary, it is helpful to examine how children build their bank of words through oral vocabulary acquisition. By age five, children have gained up to a 10,000 word vocabulary including common inflections such as suffixes. How did children who may only have one year of pre-school and one year of kindergarten gain such an extensive vocabulary? Exposure and practice. Children are bombarded with oral language from parent “oohs and ahs” to simple conversations to the background noises and words of daily life. In homes that are rich in communication, children before the age of four have heard 45 million words. In contrast, in homes that do not provide rich communication, children before the age of four have heard only 13 million words (Hart and Risley 1996). Noam Chomsky’s theory of an innate universal grammar explains how children are able to apply words into meaningful phrases and sentence structures in an efficient manner. Children fit new words into the morphological (meaning) and syntactical (grammatical) context of old words and so language acquisition compounds. New words are not learned in isolation, but in the context of what has been previously mastered and practiced. But why do children learn words so quickly while adolescents and children learn words at such a slower rate? Is it because “you can’t teach a dog new tricks” or a change in brain development? No. Primarily the reasons are exposure and practice. After the first 10,000 words, the rest are rare words, and these play a critical role in academic reading. The utility of our academic vocabulary is determined not by the first 10,000 words, but by how many of the rare words we understand (Hart and Risley 1996). The next 20,000 words learned by most college-educated adults takes about twenty years to acquire. Exposure to and practice of more sophisticated words is much less frequent than the “meat and potatoes” words of childhood. A brief example may be helpful. A child learns the word hungry at a very early age. The word has two syllables and is phonetically regular. A late teen or early adult may learn the word famished. The word has two syllables and is phonetically regular. The difference in word acquisition between hungry and famished is influenced by exposure. A child first hears the word hungry early in life and most every day thereafter from parents or from television. An adult may hear or read the word famished once every few months. The difference in word acquisition between hungry and famished is also influenced by practice. The word hungry is a high utility word. Both children and adults say this word often in all of its inflected forms. The word famished is just not said as often. So, beyond the first 10,000 words of life, do we continue to learn most of our vocabulary through skillful listening? No. A few interesting facts will prove this point. The first 1,000 words acquired by children constitute the vast majority of words used by and heard by even the most educated adults on a daily basis. Watching and listening to thirty minutes of Sesame Street exposes the viewer to an average of only one word beyond the highest frequency 1,000 words. Watching and listening to the nightly news for the same amount of time exposes to viewer to only nineteen of these key words (adapted from Hayes and Athens 1988). However, in contrast, reading provides a much higher exposure to words beyond the most frequently used 1,000 words. For example, reading a challenging comic book for thirty minutes exposes the reader to fifty-three of these words. Reading a challenging book for the same amount of time exposes a reader to seventy-five. So, reading challenging text certainly provides a greater opportunity to expand one’s vocabulary through exposure and practice than does listening alone. Now, how can we make wide reading of challenging text more efficient for vocabulary acquisition? First of all, because exposure to the right words is so critical, it is essential to carefully choose reading text for optimal practice. According to reading specialists, reading text that has 5% unknown words should be our target reading text to maximize vocabulary acquisition. Readers can maintain good comprehension while exposing themselves to 300 unknown words in thirty minutes of reading. This assumes an average reading rate of 200 words per minute with 6,000 words read in thirty minutes, of which 5% unknown words would be 300. Assuming that a reader would “naturally” acquire 5% of these unknown words via unrefined use of context clues, the reader would have a net gain of 15 new words from the reading session. Thus, four days of thirty minutes (two hours) reading practice would better a reader’s vocabulary by 60 words—substantially better than acquiring 20 new words each week by memorizing a list of words. Also, the prospect of additional practice of these words is much higher than that of the random word list memorized for the Friday test. How can you pick a book to read that has 5% unknown words? Choose a book of any genre and count the number of words on any complete page found near the beginning of the book and multiply that number by 3. Read a page toward the beginning of the book, counting the number of unknown words. A good guideline would be “if you can’t define it with a synonym, antonym, or example,” it is unknown. Then, read a page near the middle of the book and continue the count. Finally, read a page near the end of the book and finish the count. Divide the total number of unknown words by the total number of words found on the three pages. The result will be the percentage of unknown words. Anything within the 4-6% range is acceptable. For example, a reader counts the number of words on a page and arrives at 225. 225 x 3 = 750. After reading the three pages, the amount of unknown words totals 30. 30.00 divided by 750 = .05, or 5%. 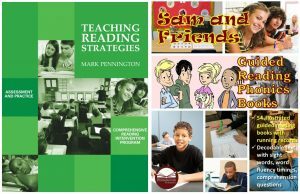 Check out these independent reading resources to help you develop a model independent reading program. Additionally, reading specialists would argue that the 5% retention rate can be doubled to 10% by applying refined context clue strategies. Doubling the number of words acquired from thirty minutes reading each day would produce a net gain of 30 new words from each reading session or 120 words each week, considering four such sessions. 120 words per week, multiplied by 33 weeks in a school year produces 3960 new words in a school year—surpassing the target for the 3,000 new words that reading specialists suggest are necessary to make grade level growth in vocabulary development. In order to refine context clue strategies, readers need to learn the types of context clues that work most often to help readers figure out unknown words. By examining surrounding sentence and word clues according to these context clue categories, more unknown words can be figured out. So, grab a second cup of coffee for the next article, Part III, and learn how to teach the refined context clue strategies that will double the amount of words that readers acquire through reading challenging text.